At the presentation of the Capital of Kazakhstan Astana-city. 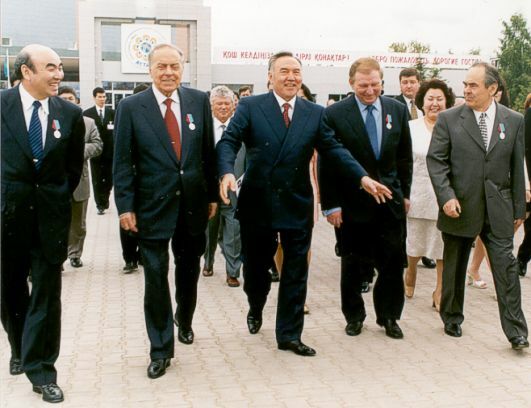 With Presidents of Kazakhstan - N. Nazarbayev, of Azerbaijan - G. Aliyev, of Kyrghyz Republic - A. Akayev, of the Ukrain - L. Kuchma. June, 1998.